"A large number of "non-traditional" students attend this highly affordable Massachusetts school with a "students first" bent and a "strong liberal arts core" in the historic community of Worcester, some 40 miles west of Boston. WSC offers a special focus in allied health services and biotechnology." Describe the type of student who should not attend Worcester State University and explain why. Describe the type of student who should attend Worcester State University. Why? What is a typical Worcester State University student like? Describe the type of person that should attend Worcester State University. What are the top 3 reasons someone should attend Worcester State University? What was a typical Worcester State University student like in high school? Describe the type of person that should attend Worcester State University. Worcester State University is a public institution of higher learning set on 58 acres in the residential west side of Worcester, Massachusetts. We are dedicated to preparing students for personal success, rewarding careers, and effective citizenship in the 21st century. We offer undergraduate and graduate degree programs in the traditional liberal arts and sciences, teacher education, biomedical sciences, business, and the health professions. Worcester State University is dedicated to offering high quality, affordable undergraduate and graduate academic programs and to promoting the lifelong intellectual growth, global awareness, and career opportunities of our students. To this end, we value teaching excellence rooted in scholarship and community service; cooperate with the business, social, and cultural resources of Worcester County; collaborate with other institutions of higher learning in the region; and develop new programs responsive to emerging community needs. Worcester State University was named the "Best College in Worcester County" in Worcester Magazine's Readers Poll six out of the past nine years. The Princeton Review also designated the University a 2007 "America's Best Value College" and a "Best Northeastern College" from 2005-2012. 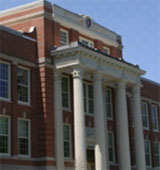 Worcester State University is within an hour's drive of all major population centers in New England. We invite you to contact us or stop by for a visit soon! What are the top 3 things that students do for fun at Worcester State University? Campus housing is available for undergraduates. Housing deposit : $150.00. Housing deposit due : Feb 15. Housing deposit is not refunded if student does not enroll.. Freshman allowed to have car. No pets. 25% of students live on-campus. 57% of freshman live on-campus. Facilities: photographic labs, multimedia classrooms with satellite connectivity, speech/language/hearing clinic. A program that prepares registered nurses to provide general care for adult patients. Includes instruction in adult primary care, adult pathophysiology, clinical management of medication and treatments, patient assessment and education, patient referral, and planning adult health maintenance programs. The average student pays $13,335 for tuition, fees, and other expenses, after grants and scholarships. Total stated tuition is $970, in-state and on-campus, before financial aid. Learn more about financial aid at http://www.worcester.edu/financialaid. Estimate the net price for you at http://www.collegeportraits.org/ma/wsu/estimator. The typical (median) early career salary of Worcester State University graduates is $40,300, according to Payscale. Worcester State University participates in the NCAA Division III for college athletics. Want more info about Worcester State University? Get free advice from education experts and Noodle community members. When do they have elder registration?